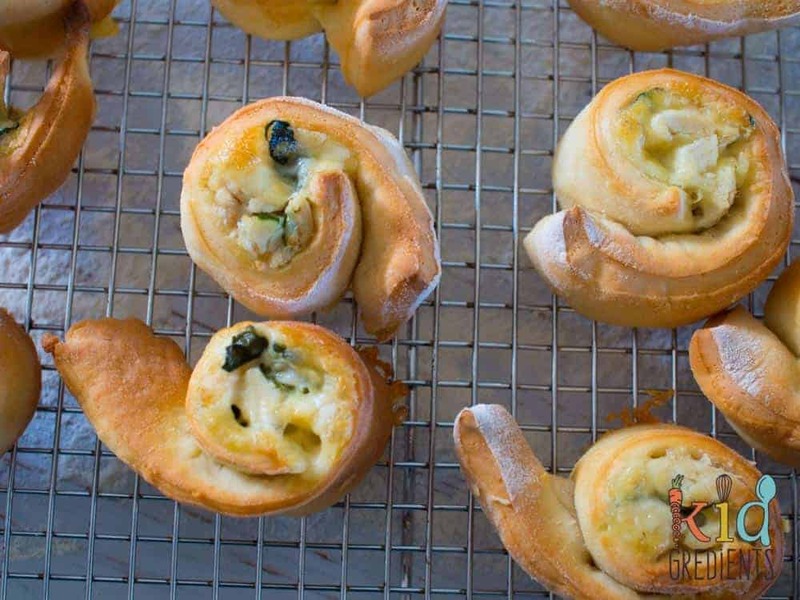 If your kids love yoghurt dough scrolls, then these are the best new flavour to try. 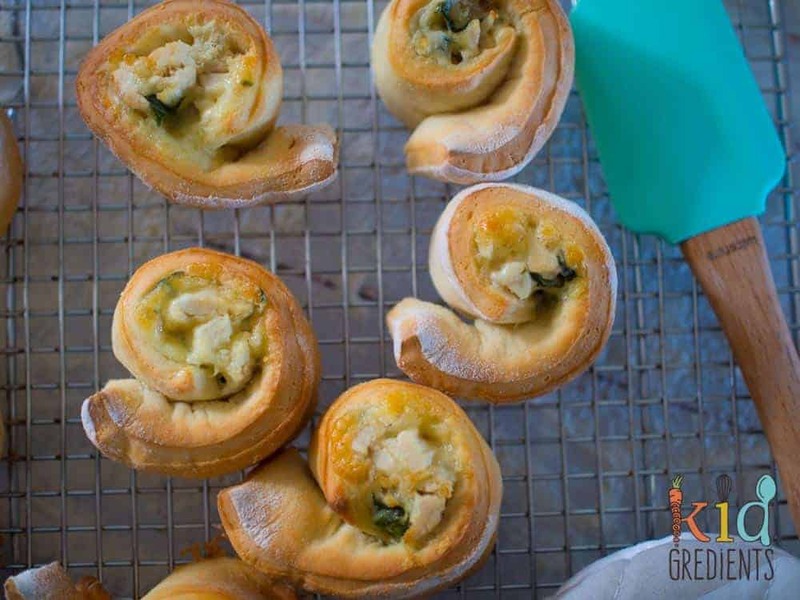 We’ve done lots of the past couple of years, but chicken, cheese and spinach yoghurt dough scrolls are my (and the kids) brand new favourite! The main reason I make scrolls is because they are freezer friendly. The other reasons I make scrolls? Kid appeal, yumminess, convenience and using up my leftovers! I roast a chicken at least once per week and use the leftovers for lunches. Most times I actually roast 2. There are so many ways to use the roast chicken, I use it in pasta, fried rice, mini pizzas and now…on these scrolls. 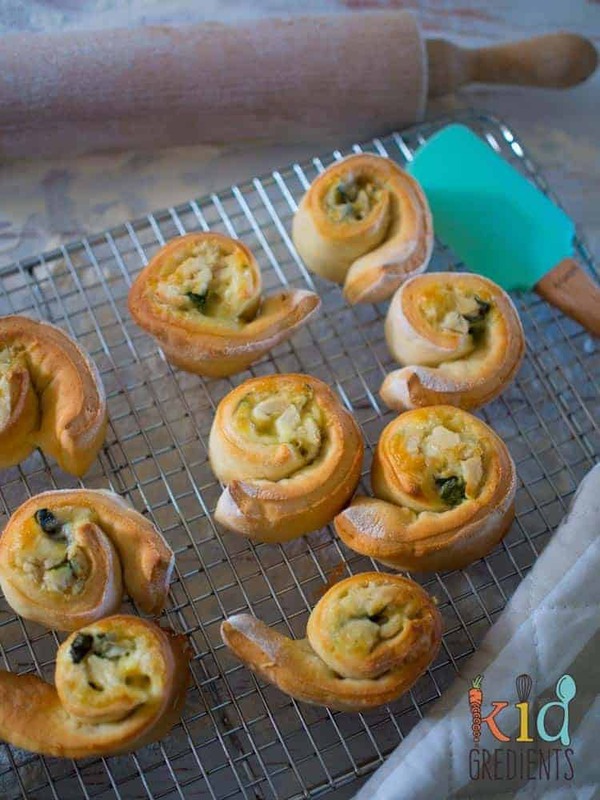 The simpleness of yoghurt dough means that you can make these quickly and easily, but if you need an even simpler way- switch out the dough for puff pastry. Gosh more often than not I get the kids to make the yoghurt dough, it’s such a simple way to get them involved in the kitchen and such a forgiving recipe. You might think that having mayonnaise in these is a little odd, but the chicken and mayonnaise go really well together and it makes them a bit yummier than if you do it without. It’s kind of like the tomato sugo on a pizza, it acts as a glue to help keep all the components sticking together. Make sure you break the baby spinach up to suit your kids, I just hand rip it, so that it’s in pieces about basil leaf size! It makes for a bit of green in the scrolls and adds to the flavour. If you were making these for adults, add a teaspoon of mustard to the mayonnaise for a bit of a kick! 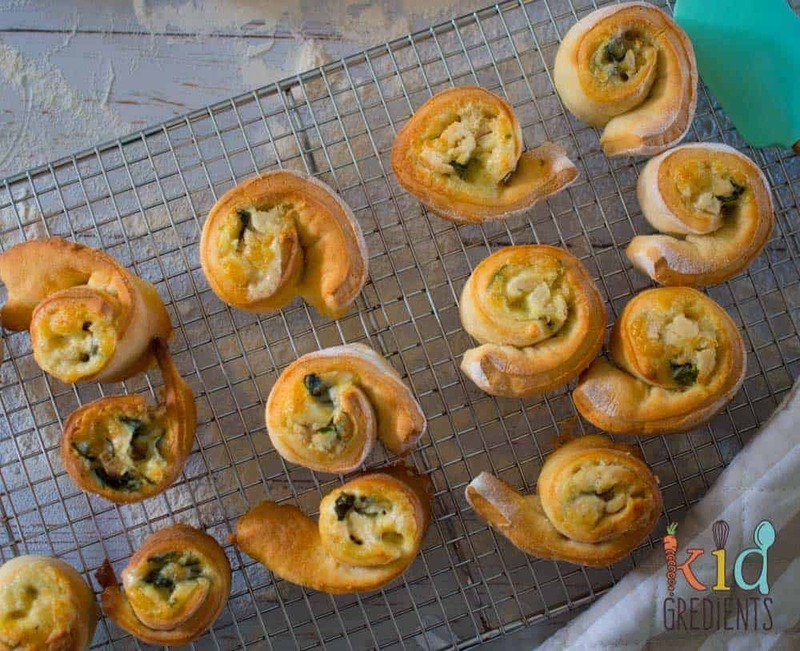 Chicken, cheese and spinach yoghurt dough scrolls, your new favourite flavour! Great in the lunchbox and freezer friendly! 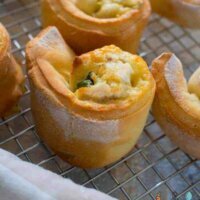 Easy to make recipe that the kids will love! Mix the yoghurt and flour to make a dough. Roll out the dough into a large rectangle on a floured chopping board. 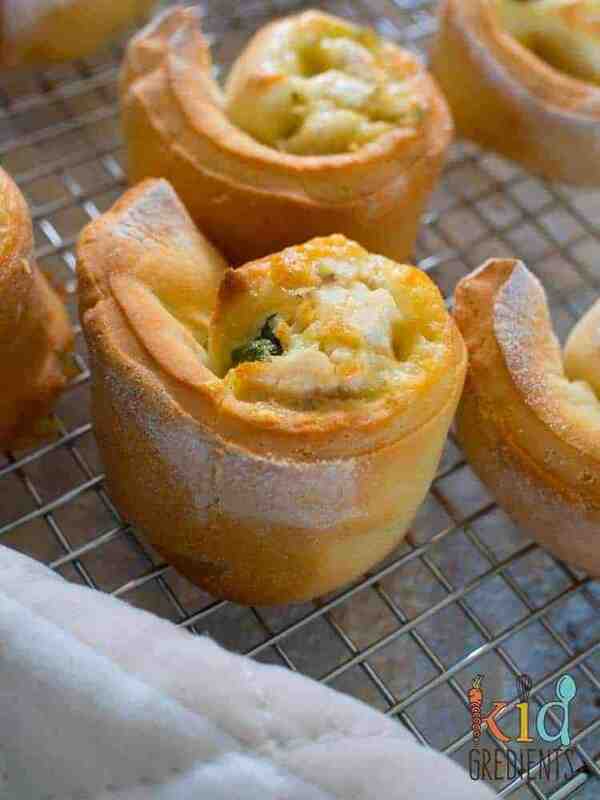 Combine the chicken, mayonnaise, cheese and spinach in a bowl. Spoon half the filling down the edge of each piece of dough, roll into a sausage. Place on a baking tray. Bake at 180 degrees for 17-20 minutes. Previous Post: « Orange poppyseed mini cakes with hidden chia, low sugar!